Moving does not have to be physically exhausting or stressful. With help from the professional movers at Pratt Van Lines, moving to a new home or relocating your office can be as easy as picking up the phone. Packing. We know we’re moving more than just “stuff,” so our professional movers pack your belongings with the same care you would use. Loading. 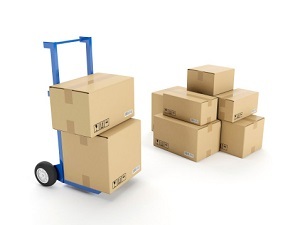 Our professional movers have the equipment and the muscle to load up the truck. Transporting. Pratt Van Lines can help you move your home or business across town or across state lines. Unloading. Once we arrive at your new location, we get everything safely to its “home”—and we don’t just mean through the door. We’ll place your furniture and belongings where they need to be. Unpacking. Our professional movers can help unwrap and unbox everything to help you settle in more quickly. Call 505-250-3949 for professional movers’ help with your Albuquerque relocation. All moving services are available whether you are moving across town or across the state. And you can select as much or as little help from our professional movers as you need. Minimal property damage. Our professional movers take the proper precautions to keep your belongings safe and protect carpets, door jambs, etc. of the property you are moving from and relocating to. No-hassle moves. Our professional movers spare you the physical labor and stress of planning your move. You can rest assured that your residential move or office relocation will be easy and efficient with Pratt Van Lines. If you want a quote for professional moving services, contact Pratt Van Lines. We will visit your site and discuss the services you need; then, we’ll put our quote in writing. Our prices are guaranteed, so there are no surprise expenses once your move is complete.